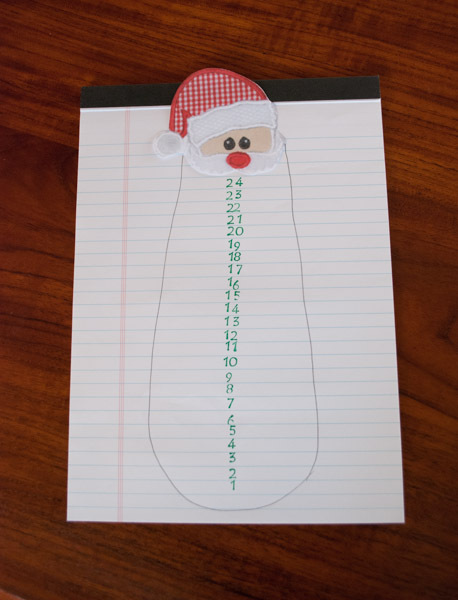 Here’s a simple way to help the kids count down the days until Christmas. 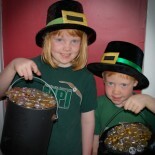 It took us just moments to make, using materials we had on hand at home. 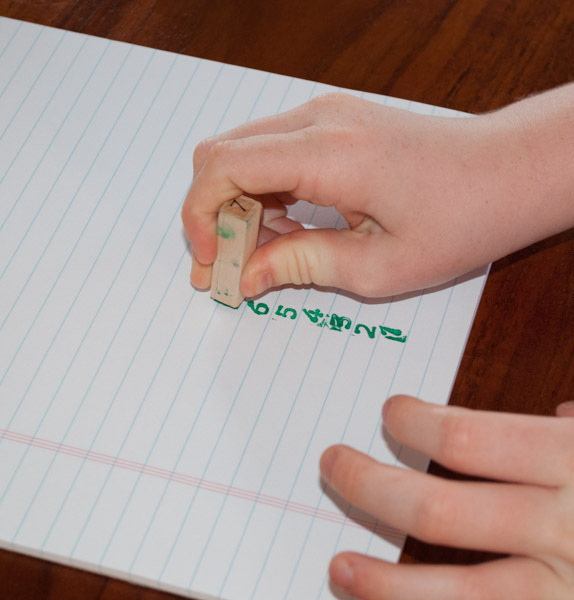 Do you have a color printer, some lined paper and some tape? 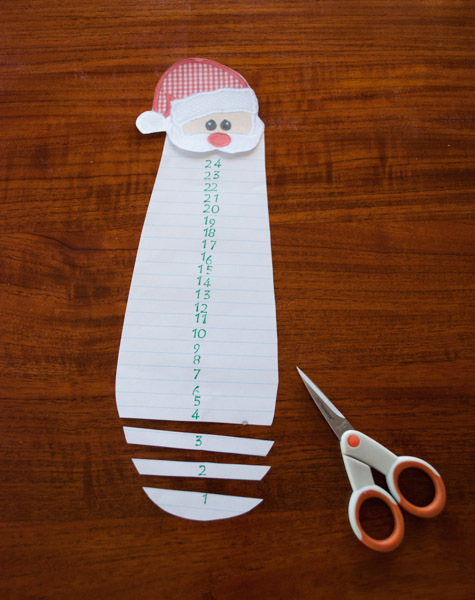 Then you and your child can make a simple Christmas Count Down. 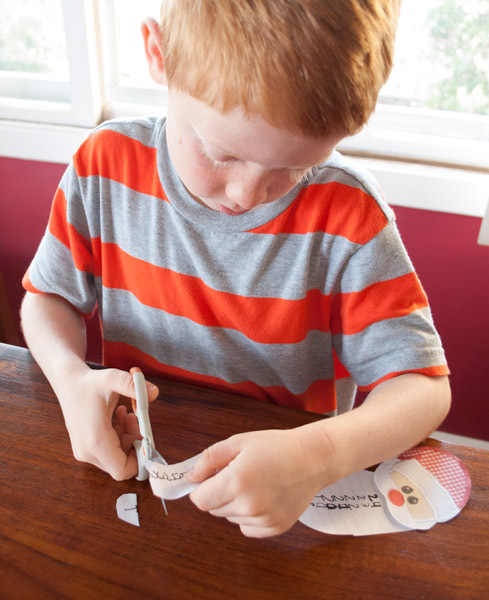 Plus, an added bonus for the little ones – they get to practice their cutting skills! We Googled “Santa Face” and found an image we liked. I dragged the image onto a blank document and printed one out for each child. 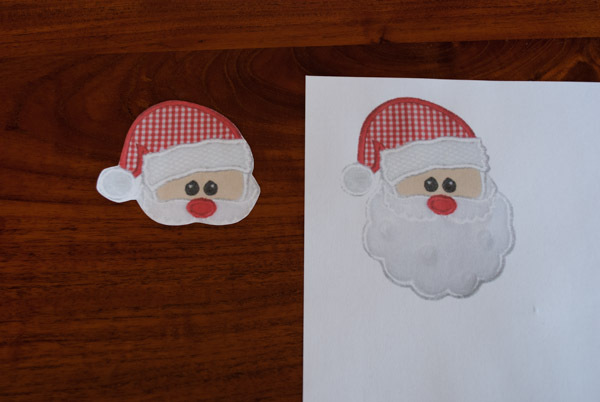 We trimmed Santa’s beard, so that only his mustache was showing. 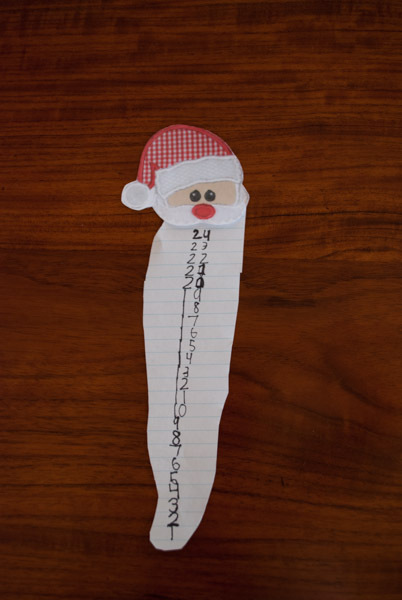 We attached Santa’s face to the lined paper and the kids drew a beard around the numbers, then they cut the beards out. On December 1, have the kids cut off the number one on the bottom. On Dec. 2, they will cut No. 2, and so on and so forth. Thanks to http://laclassedellamaestravalentina.blogspot.com for the idea! 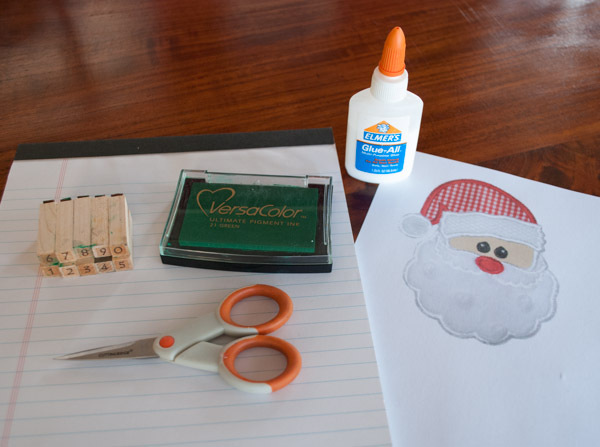 This entry was posted on November 21, 2013 by mdaucello in Christmas, Crafts, Crafts, Holidays and tagged christmas, count down, Santa.